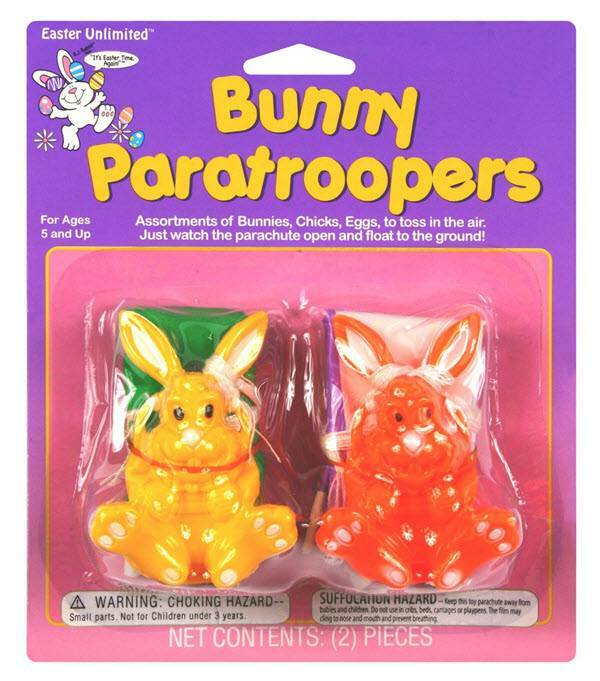 These Easter-themed paratroopers are the perfect Easter basket filler. 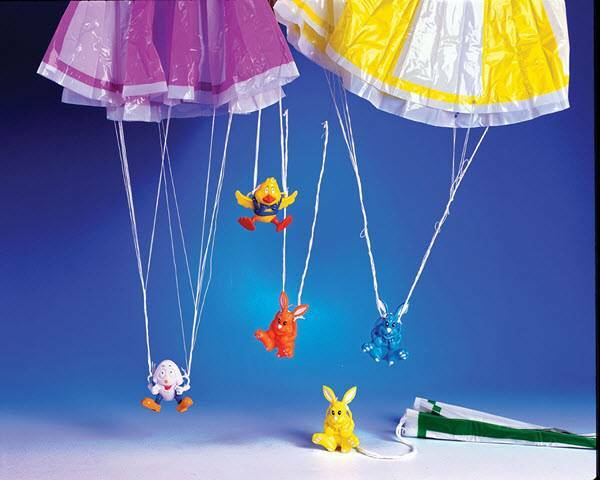 You could get an assortment of bunnies, chicks or eggs in a 2 pack great for tossing in the air. Parachute opens and it floats to the ground with ease. Kids will love racing them to see who drops the fastest!